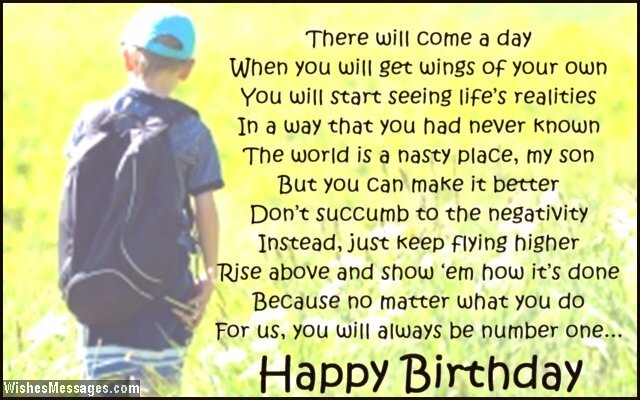 Birthday Poems for Son: Why rely on cheesy quotes when you can write your own sweet poem on your son’s birthday card? It’s not too hard to create a beautiful short rhyme that will become a keepsake for years to come. Just think of all the happy memories and the funny moments that you have cherished as his mom and dad. Jot your thoughts down on paper and then weave it up into a cute little rhyme. Whether your son is a naughty preteen, a rebellious teenager, a college freshman, a young adult or a man with children of his own – he is never too old or too young for warm hugs, gifts and greetings from his mommy and daddy.